Buddy was rehomed in Aug 2015 but has become very toy possessive and this has become a concern around the young children in the home. 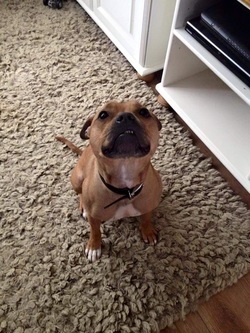 He is a playful, affectionate boy but needs a home with someone who can teach him to share!! He is dog and cat friendly and we really do feel that in the right home he is a fantastic dog. 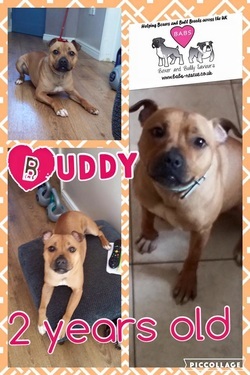 If young children visit Buddy would love to meet them but please seperate when toys are out. If you are interested in helping Buddy please get in touch, he is currently in Bristol however we are looking for a new foster home where there are no young children. If you are interested in adopting or fostering Buddy please contact us .